In our personal finances, checks often have an odd place. In some ways, what we use today seem somewhat akin to relics from decades ago. Once or twice a month, we may write a check. Often, it is the pay for the rent or other bill-paying situations where you can not use electronic payment. A few decades ago, as much as 85% of checks have represented most of the non-cash retail payments. Imagine yourself going to the grocery and whipping out a checkbook whenever you pay for your groceries. Times have drastically changed nowadays. Despite the gradual decline use of checks, these have not become extinct yet. We still use checking accounts, as well as balance checkbooks despite the use of mobile check imaging and other banking technologies that are created and introduced for the improvement of paying checks. Between obsolescence and permanence, writing checks are still in between. Whether checks are on their way to becoming obsolete, there are still a lot of practices related to these that you should be aware of so you can stay on top of your finances. Checks have a bad rap when it comes to how long they take to clear called the holding period. This can vary from 24 hours to more than a week. It depends on your financial institution. The clearing process consists of many steps. First, the checks are received by the financial institution and encode the amount stated on it into the machine. The physical check is then put through a device that will scan all of its data. After that, the date is sent to a clearinghouse which will then be forwarded to financial institution issuing the check. The institution will then check to make sure that the individual’s account has enough funds for payment. Once verified, the transaction will go through. If not, the check will bounce. From the inefficient check clearing process back in the 18th century, now it had evolved before bank clerks had to meet up at a tavern to settle any account differences and exchange checks. Recently, the mobile check imaging, sometimes known as remote deposit capture was introduced to help shorten the holding period. But to avoid any bad checks and fees, you need to understand what the holding period is. If you’re learning how to write a check, absent-mindedness and holding period can make a situation where you spend money from your account which you don’t have. Because of this, it is best to pretend that the amount of money you are writing is already gone from your checking account. 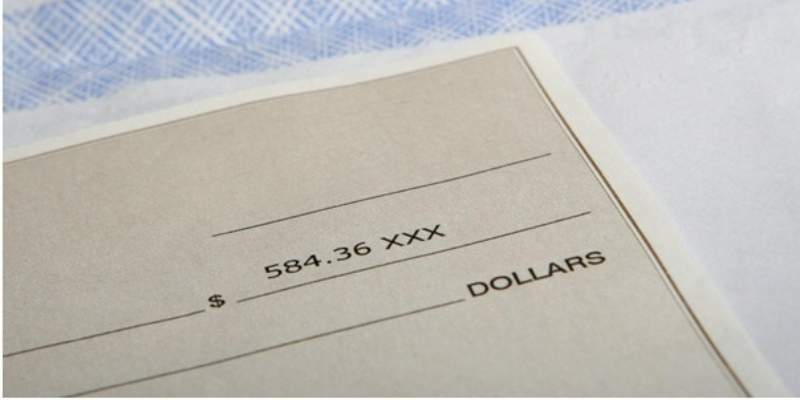 If you are the check receiver, you should know that when the money shows up in your account when you deposit a check, it probably wasn’t cleared yet. You may be allowed to spend some of the deposited checks; however, if it bounces, you will have to repay the funds you have used before the check has bounced. And that’s about it! Do you have any questions? Let us know in the comments below.